Don't Forget to Scroll Down for More Great Information!! This update contains the latest announcements and current news impacting K-12 Social Studies in North Carolina public schools. As always, we encourage those of you who receive the updates to please share this issue with others who are not currently subscribed to our listserv. 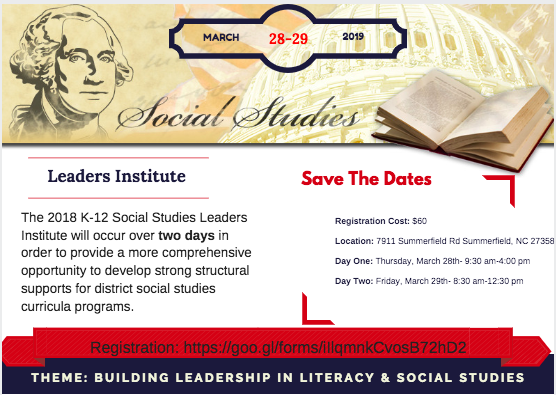 To receive Social Studies Updates please sign up using the following link: Social Studies Listerv Update and Remind or follow us on Facebook and Twitter . 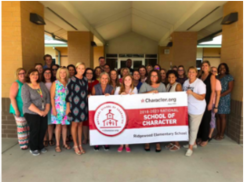 Apply to Be a "School of Character"
We are very excited to announce that the School of Character application is now open! Learn all that you need to know about the application process on our website. And don't forget to take a look at the application timeline so you can make sure you're on track! Federal Reserve Board Chairman Jerome H. Powell will host a town hall meeting with educators from across the country on February 6, 2019. The educators will join the Chairman at 7 p.m. EST in the Board Room of the Board's main building in Washington, D.C., and participate via webcast from Federal Reserve Bank offices throughout the country. The Chairman will respond to questions from both the in-person audience and participants at the Reserve Bank offices. https://www.facebook.com/federalreserve, and they may join the discussion about the event by using the hashtag: #FedTownHall. After the event, the Board will post a transcript and video recording on its website. How prepared are you to foster global awareness in your students or support that in your classrooms or schools? 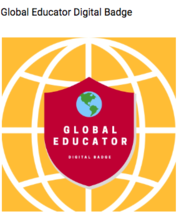 The Global Educator Digital Badge provides an opportunity for educators to focus their professional development on developing their own global context and understanding of how to integrate throughout the curriculum. It also provides the opportunity to build global competency in your students? The State Board of Education approved North Carolina Global Educator Digital Badge (GEDB) is available for the following educator categories: Teacher, Teacher Leadership Specialist, Library Media Coordinator, Instructional Technology Facilitator, School Counselor, Career Development Coordinator, School Social Worker, School Psychologist, Speech Language Pathologist, Instructional Central Office Staff, Principal/Assistant Principal, Superintendent. For more information on the Badge (SBE Policy, FAQs, Process Flyer, Implementation Guide, MOA), please visit our website or contact NCGlobaEducation@dpi.nc.gov. The National Humanities Center is offering live, interactive professional development webinars on compelling topics by leading scholars for humanities educators and advocates of all levels. All webinars are free of charge. Registration for the spring 2019 Humanities in Class webinar series is now live and open. Designed as a real time conversation between a lead scholar and educators, each webinar package includes a set of readings and primary sources relevant to the topic, a supporting powerpoint, and a recording for future use. The goal is to create a highly interactive event in which we can explore together a compelling topic through the humanities. The webinars are free and open, with the aim to support the professional growth of educators at all levels and in all disciplines. The HIC webinars are limited to 200 participants each, and sessions reach capacity quickly. While a majority of the participants are secondary level teachers, the sessions also attract educators at the elementary and middle grades as well as post-secondary professionals and non-profit and informal educators. Many of these sessions are also appropriate for students, and we have definitely had teachers sign up their classes for extension or extra credit participation. NC State University Offers Complimentary Humanities Extension Program! The Humanities Extension Program directly connects North Carolina's public school classroom teachers with faculty from NC State University who want to share their knowledge and expertise with students in grades K-12. The free program creates new partnerships and builds on existing relationships between the college and public schools across the state. Our aim is to foster an understanding of and appreciation for the humanities and social sciences among students. The program is also a powerful recruitment tool for college-bound young people, exposing high school students to potential areas of study. Faculty members tailor their presentations to the lesson plan, age and education level of the students. The length of programs varies and can be customized to meet your schedule. Learn more about the college’s Humanities Extension Program through this interview with program director Dr. David Zonderman. Please complete this interest form to be matched with a member of NC State faculty! Any questions can be directed to Academic and Leadership Program Coordinator Jenn Scoggins at jascoggi@ncsu.edu. Please share this opportunity with your teachers! Sign-up for this free webinar to help you build leadership in your students through activities that promote positive school culture. This session will help you transform your school culture while building student leaders at the middle and high school level. Although this webinar is hosted by the North Carolina Association of Student Councils, it will benefit advisers of all student organizations as well as those who are just looking to build their students' 21st Century skills or improve the climate at their school. Click here to register. For more information visit http://www.ncasc.us/. 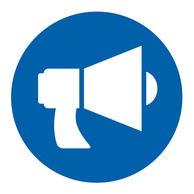 We are pleased to announce that the Conference Planning Committee is seeking proposals for student-led presentations for The Connecting Communities of Education Stakeholders Conference (CCES), formerly the Collaborative Conference for Student Achievement (CCSA). Students will have the opportunity to share some of their classroom experiences, projects, research, service-learning experiences, etc. with state stakeholders at the conference. Though an adult is able to introduce them, student(s) are expected to do all or the majority of the presenting during the 45-minute session. Preference will be given to proposals that address this year's conference theme, "Innovative Pathways to Personalized Learning", as well as highlighting one or more of the four conference goals and pillars, listed below. A students’ learning environment being flexible and structured in ways that support individual goals. 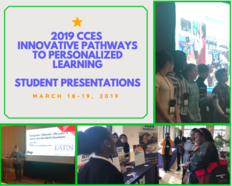 If you are aware of students who could present on one of the goals and highlight practices that improve educational outcomes at the CCES conference on Monday or Tuesday, March 18-19, 2019, please complete the Student Session Proposal Form. Proposals must be submitted before January 5, 2019. If you have any questions about the sessions, please contact Phylisha.Sanders@dpi.nc.gov or Thomas.Daugherty@dpi.nc.gov. National Endowment for the Humanities Summer Programs Announced NEH offers tuition-FREE opportunities for K-12 educators to study a variety of humanities topics at summer programs across the country. The 2019 schedule has just been announced! You can find a complete list of opportunities here. While all of the programs look awesome, you may be interested in “Muslim American History and Life” at Indiana University-Purdue University Indianapolis led by Dr. Edward Curtis. Applications are due by March 1, 2019. Travel to the Middle East with GEEO GEEO offers cost-subsided travel programs for educators during the spring, winter, and summer. The trips are designed and discounted to be interesting and affordable for teachers – and you can earn PD and graduate credit. They are a lot of fun!!!! The trips are open to all nationalities of K-12 and university educators, administrators, retired educators, as well as educators’ guests. GEEO has introduced two NEW programs this year to Jordan and to Egypt! Check them out here. Performance Opportunities at Duke University: Building Bridges: Muslims in America Duke Performances has launched Building Bridges: Muslims in America, a new project showcasing the richness and diversity of Muslim culture in this country. Duke Performances will host residencies by U.S.-based Muslim artists, including engagement with the Duke and Durham community, visits to nearby high schools, and public concerts. The initiative continues this season with Muslim convert and MC Brother Ali (Thursday, March 7); and Persian-inflected Brooklyn rock band Habibi (Thursday, April 4). Check out their website for concert information and more! Kennedy-Lugar Youth Exchange & Study (YES) Abroad program: another U.S. government program focused on getting a perspective of a Muslim cultures first-hand. Students spend the academic year 2018-2019 living with a host family in a Muslim country in Europe, Asia, or Africa. Participants serve as “youth ambassadors” of the United States, promoting mutual understanding by forming lasting relationships with their host families and communities. For more information, visit http://www.yes-abroad.org/- Applications close on December 4, 2018 at 11:59PM PST. Don’t forget to like us on Facebook, follow us on Twitter and Pinterest! The Teaching Resources Page of our website has many other helpful links and resources to use in your classrooms. Invite the other teachers you work with to join this email list. EBZB Productions, Inc. strives to develop original, touring theatrical productions to promote integrity and authenticity, self-discovery and positive transformation of individuals, artists, audiences, and communities. EbzB's signature production, The Night Before Christmas Carol, written by Elliot Engel and featuring David zum Brunnen, is now in its 21st year of touring! EbzB Productions knows that presenters are in the midst of planning upcoming delights for their audiences. It can be as exciting and as stressful as shopping for the pending holidays. To that end, EbzB hopes to help by consolidating our crowd-pleasing offerings below. Now in our 21st year, we have a solid repertoire of performances for general and student audiences. Please visit www.ebzb.org to browse our roster and for additional details. IMPORTANT UPDATE: Wikispaces, the company that hosts all of the DPI wikis, is going out of business, and plans are underway to move the wikis to a new online home with Google Sites. We will continue to use the current wikis through the end of this calendar year. Although Wikispaces is going away, REMEMBER, K-12 Social Studies resources and information can always be found on the shelves of our current LiveBinders. Click this K-12 SS LiveBinders hyperlink to access all social studies materials! Qatar Foundation International (QFI), in partnership with the Middle East Outreach Council (MEOC), is pleased to offer its Educator Book Program which will provide K-12 educators with the opportunity to obtain up to three classroom sets of books recognized by the Middle East Annual Book Awards. The Middle East Book Awards recognize outstanding books that contribute to a more meaningful understanding of the Middle East on an annual basis, and includes picture books, youth literature and youth nonfiction titles. Grant applications will be accepted on a rolling basis throughout the year and are open to K-12 educators in public and public charter schools. To view the full grant announcement including application requirements and grant conditions, please click here. To apply to the grant program, please visit QFI’s grants management portal, FluidReview, at qfi.fluidreview.com. For any questions regarding the application or program, please contact culture@qfi.org. The Award for Global Understanding Given in Honor of James M. Becker recognizes a social studies educator (or a team of educators) who has made notable contributions in helping social studies students increase their understanding of the world. The award includes a $2,000 cash award, a session to present at the NCSS annual conference; complimentary NCSS conference registration; and up to $700 in transportation/lodging reimbursement. The NCSS Grant for the Enhancement of Geographic Literacy was created to promote geography education in the schools; to enhance the geographic literacy of students at the classroom, district, or statewide level; and to encourage the integration of geography into the social studies curriculum/classroom. Award winners receive $2,500, a commemorative award, and present a session on their work at the NCSS Annual Conference. In 1986 the Christa McAuliffe Reach for the Stars Award was established to help classroom teachers "reach for the stars" and achieve a dream that under ordinary circumstances would not be fulfilled. The Fund for the Advancement of Social Studies Education (FASSE) was created in 1984 by the Board of Directors of the National Council for the Social Studies. The purpose of the fund is to support research and classroom application projects which improve social studies education, foster enlightened citizenship, and promote civic competence. The purpose of the $2,500 grant is to help a social studies educator make his or her dream of innovative social studies a reality. Grants will be given to assist classroom teachers in: 1) developing and implementing imaginative, innovative, and illustrative social studies teaching strategies; and 2) supporting student implementation of innovative social studies, citizenship projects, field experiences, and community connections. In 1974, National Council for the Social Studies established the Carter G. Woodson Book Award for the most distinguished social science books appropriate for young readers that depict ethnicity in the United States. The purpose of this award is to encourage the writing, publishing, and dissemination of outstanding social science books for young readers that treat topics related to ethnic minorities and relations sensitively and accurately. To learn more about the aforementioned grants, visit https://www.socialstudies.org/getinvolved/awards. NCDPI- Social Studies is proud to announce that we are able to communicate with social studies educators through http://www.remind.com. 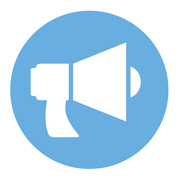 Fast, easy, convenient and effective way for NCDPI- Social Studies Team to communicate the most recent social studies related legislative updates, resources, events, announcements, webinars, opportunities, etc.